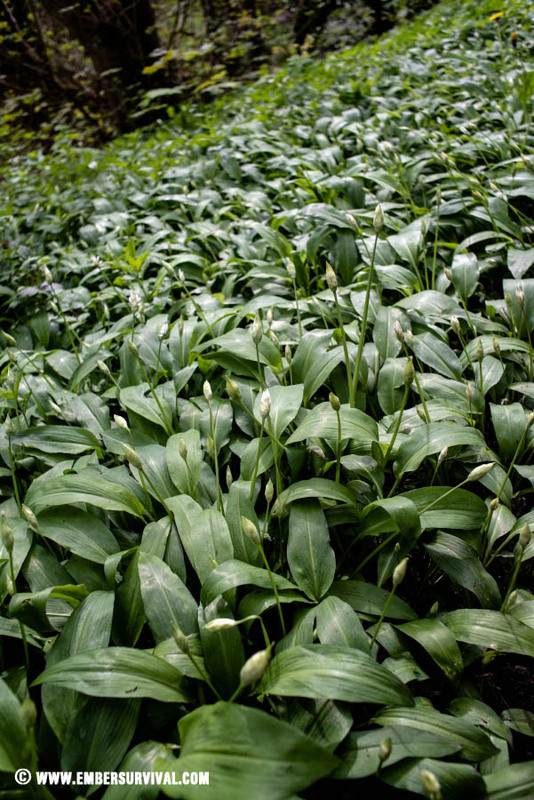 Ramsons – Wild Garlic carpet the forest floor. These are normally found next to watercourses in damp shaded conditions. The smell will normally give them away sometimes before you even spot them! 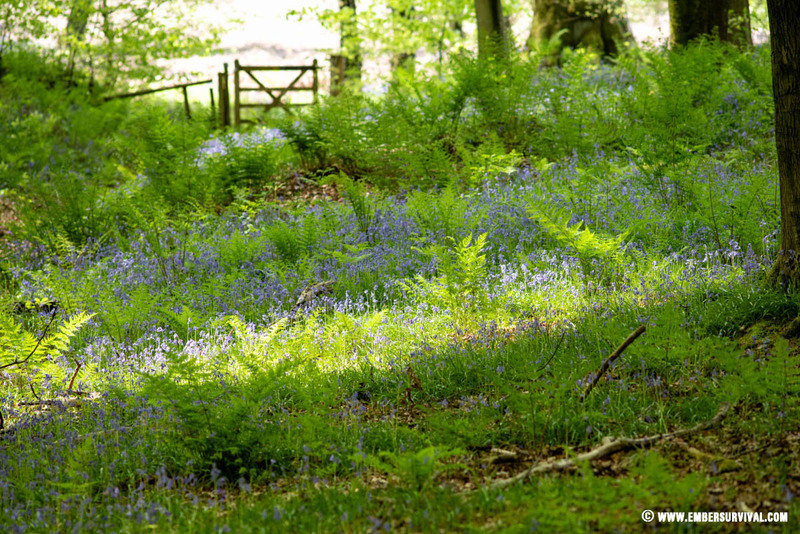 The month of May is certainly the time to head out and be a part of this great natural renewal. 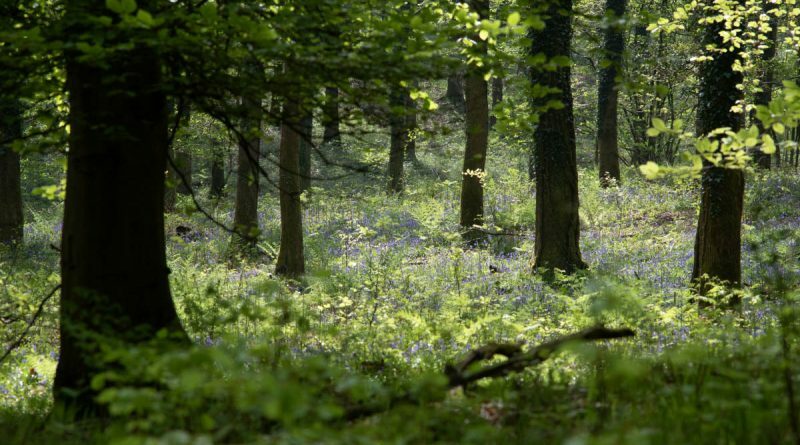 The forest offers wild edibles to the forager, plenty of noisy bird life to the ornithologist and fresh air to anyone. I pick nettles this time of year to make tea and in the month of May the plants are still young and taste good. I take the growing tip and let them dry out naturally for a few days before mixing with peppermint leaves. 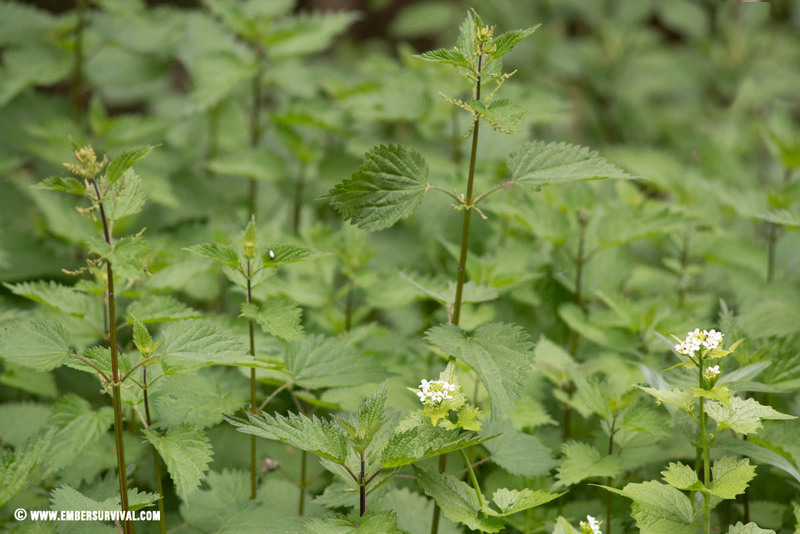 Nettles growing alongside another familiar spring time edible: Garlic Mustard.